Apple has put a dollar figure on the damages it believes that it is owed by Samsung for the company’s alleged infringement of its patents, and it’s an awfully big number. 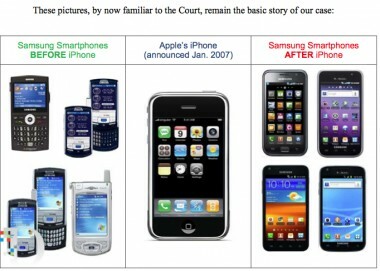 And that has wrongfully enriched Samsung, while harming Apple. And as for the royalty rate of 2.4 percent that Samsung has been demanding from Apple for use of its standards-essential wireless patents, Cupertino says that’s far too high. Apple asserts that the amount should be just $0.0049 per unit, arguing that the royalty should not be calculated from the market value of the device in which they are used. Rather, “the royalty should be applied to a base equal to the price of the baseband processor, the smallest priceable unit containing the accused functionality.” Baseband chips sell for about $10 apiece, so Samsung is entitled to just a half cent per iPhone. Samsung has not yet responded to a request for comment.